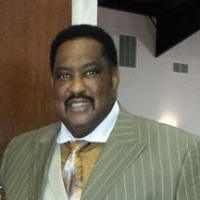 Pastor James E. Mackey was elected President of the Regular Arkansas Baptist Convention, Inc. during the 81st Annual Session of the convention held in November 2015 at the First Missionary Baptist Church in Pine Bluff, Arkansas. Rev. Mackey is the pastor of the Rock of Ages Missionary Baptist Church, 8112 Bicentennial Road, North Little Rock. He formerly served as the Vice President-at-large during the presidential tenure of the immediate past president, Dr. James S. Thrower, Sr. He is also a past moderator of the Middlewestern Baptist District Association and former pastor of the Palarm Chapel Baptist Church of Mayflower.